PARENTS: SHARE THE GOOD NEWS. Why are these boys so happy? They're St. Patrick's Boys. That's why. School now enroling 1st to 6th class pupils for 2018/2019. Please feel free to contact our Super Secretary Sandra (021-4502024) for more information. Likewise, call in anyday to see us on Gardiner's Hill, for a tour of the school and meet our helpful staff and bright, happy pupils. See why you should be choosing St. Patrick's for you and your son's most important steps. St. Patrick's Boys' National School is situated in Gardiner's Hill, Montenotte, on the north side of Cork City. 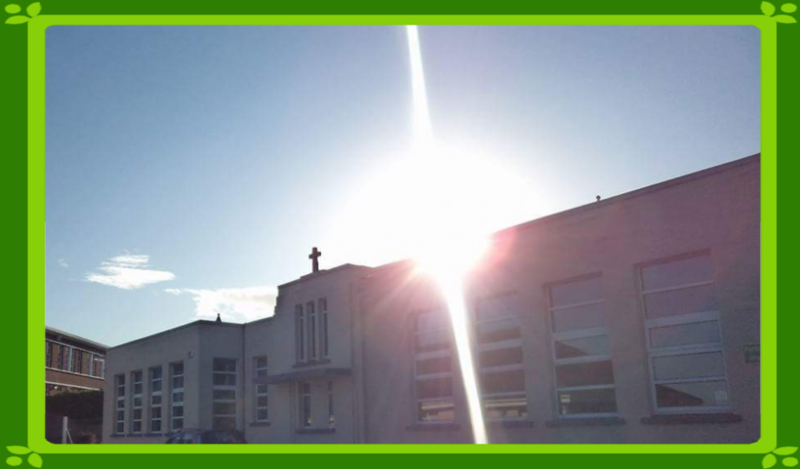 We are a Catholic boys' primary school under the patronage of the Bishop of Cork and Ross. Pupils of other faiths who respect the Catholic ethos are welcome to enrol. The school serves a wide catchment area comprising Montenotte, Dillon's Cross, Mayfield, The Glen and Lower Road areas. The academic tradition of St. Patrick’s Boys’ National School dates back to 1841 when the school was located at St. Luke’s Cross, Cork. We have had many illustrious past pupils over the years, including the writer, Frank O’ Connor, and Donal Lenihan, the former Irish Rugby Captain, to name but a few. We aim to provide a caring, happy and stimulating environment,which promotes the holistic development of our pupils. Our school motto is “Ó gach duine a dhícheall” (From each person, their best). Our staff is committed to helping each pupil realise his full potential with the help of his parents. Indeed our Parents’ Association provides great support to the school on an ongoing basis.In addition to the Principal and mainstream class teachers, we have highly qualified teachers working in the areas of Learning Support,Resource/Special Needs, Language Support and Home/School liaison. Our Special Needs Assistants cater for pupils’ individual care needs. We provide a homework club and after school activities for pupils attending the school. We welcome performers from the Dramatic and Visual Arts to the school on a regular basis. Sport is an integral part of the curriculum at St. Patrick’s B.N.S. with many different sports being played. Information technology is also well catered for in the school and we have a dedicated computer room for that purpose. If you would like your child to be part of the St. Patrick’s experience please contact us to arrange a visit or to find out more about enrolment procedures.